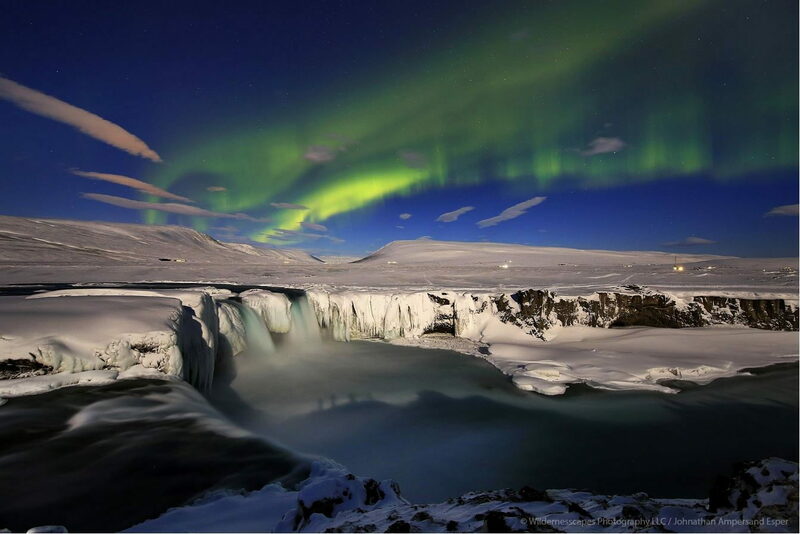 Full moon Auroras over Goðafoss Waterfall, Iceland. Photographers sillouettes in the full moon can be seen in the water. Photo © copyright by Johnathan Ampersand Esper.